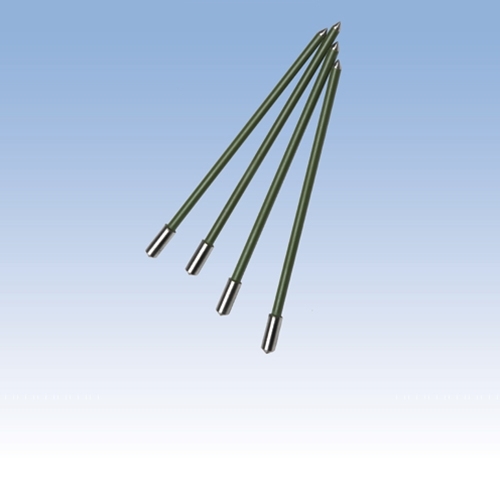 The 608 insulated contact pins measure 4" overall, and penetrate 3 1/4". Standard on 21-E and 18-ES electrodes, and can be used on roofing, insulation, timber, poles, and EIFS. Also available in 7” length with 6” penetration as 608/001.